Download "Dell PowerVault MD Series Storage Arrays: IP SAN Best Practices"
Flow Control and Network Performance A Dell Technical White Paper Dell PowerConnect Team THIS WHITE PAPER IS FOR INFORMATIONAL PURPOSES ONLY, AND MAY CONTAIN TYPOGRAPHICAL ERRORS AND TECHNICAL INACCURACIES. Voice Over IP. MultiFlow 5048. IP Phone # 3071 Subnet # 10.100.24.0 Subnet Mask 255.255.255.0 IP address 10.100.24.171. Telephone. 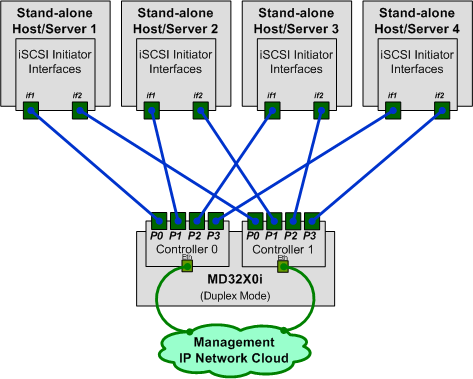 Can PowerConnect Switches Be Used in IP Multicast Networks? White Paper Meeting the Five Key Needs of Next-Generation Cloud Computing Networks Cloud computing promises to bring scalable processing capacity to a wide range of applications in a cost-effective manner. If you already have your SAN infrastructure in place, you can skip this section. This chapter describes the different networking topologies supported for this product, including the advantages and disadvantages of each. 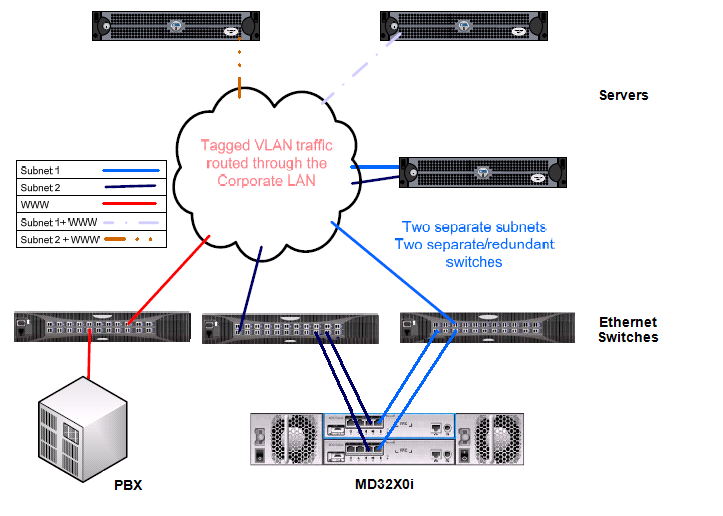 Select the one that best meets your needs and your network deployment. Implementing Hyper-V A Dell PowerVault MD3200 and MD3200i Technical White Paper Dell THIS WHITE PAPER IS FOR INFORMATIONAL PURPOSES ONLY, AND MAY CONTAIN TYPOGRAPHICAL ERRORS AND TECHNICAL INACCURACIES. Dell PowerVault Backup to Disk Appliance Interoperability Guide This document provides information about the supported hardware and software versions for the Dell PowerVault Backup to Disk Appliance system. Abstract. MEP; Reviewed: GAK 10/17/2005. Solution & Interoperability Test Lab Application Notes 2005 Avaya Inc. All Rights Reserved. Deployment Guide. How to prepare your environment for an OnApp Cloud deployment. Open Network Automation is Critical to the Virtual Data Center A Dell Technical White Paper THIS WHITE PAPER IS FOR INFORMATIONAL PURPOSES ONLY, AND MAY CONTAIN TYPOGRAPHICAL ERRORS AND TECHNICAL INACCURACIES. Can PowerConnect Switches Be Used in VoIP Deployments? L-Series LAN Provisioning Best Practices for Local Area Network Deployment Introduction Scope NComputing s L-series access devices connect to a host computer through an Ethernet interface and IP protocol.